Alley Oop in the outfield. Geico. 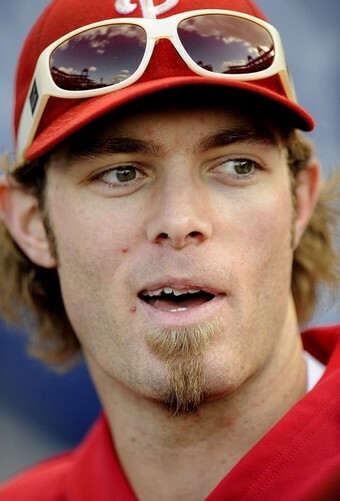 So easy, Jayson Werth of the Philadelphia Phillies can do it. For the record, a few folks I work with and my mom made this observation (independent of each other) before I did. Oh, and also for the record: I am most DEFINITELY not the first to come up with this comparison. As I typed “Jayson Werth” into Google, one of the automatic options for me was “Jayson Werth Beard.” Thanks, Google, for beating me to the punchline.